Hello Blogger, Today's Topic is on Google Adsense, We will discuss New Working Tricks in 2018 to get Google AdSense Approval on a Blogger (Blogspot) or a website. So read this Article up to last to know how to get Google AdSense Approval in 2018? 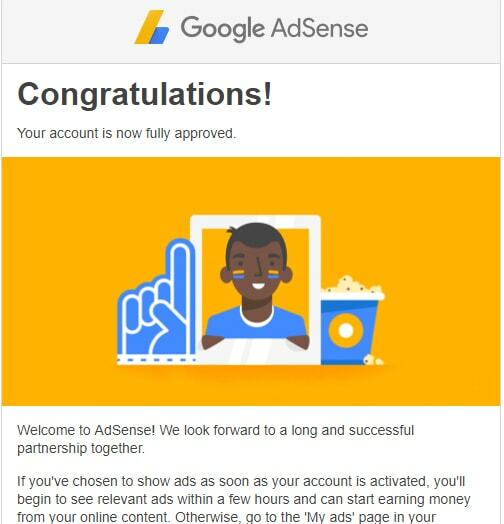 I have applied on Google AdSense for Advertising on my blog and I got approval within 48 hours, I will explain How I got Success in getting Approval on Google AdSense. Here I am going to explain all of my tricks that I used on my blog before applying to Google AdSense. At first, I applied on Google AdSense with Blogspot Subdomain, but I get rejected for 11 times. But I never loosed my patience, then I heard that there is more chance on getting Google AdSense Approval with Custom Domain so I bought a Top Level Custom domain (.com) and set it on my Blogger. After setting custom domain I applied on AdSense but this time also I got rejected for 12th times then I used some Important and Working Tricks and I got Google AdSense Approval within 48 hours in 13th times and that was very happy and joyful movement for me. i. Use a Responsive Template that has a better view of both Desktop and Mobile. ii. Add Recent Post, Popular Post widgets on the sidebar. v. Write 18 to 20 Unique Posts with 600 to 1700 word Content. vii. Add Images without Copyright subjected, use pixabay.com to download free images without copyright. viii. Add a custom Branding Logo and Favicon. ix. Do not use the Traffic Generator Online Tool. x. Write Post with Proper Heading and Subheading, make a separation between Heading and Paragraph. xi. Be sure that your website is not under construction. xii. Post 3 to 4 Posts on each category of your Menu bar. For Google AdSense Approval your website design must be responsive on all devices, your website must have proper Menus and Navigation. You must set all the widgets like Sidebar, Recent Posts, and Popular Post widget properly on proper place. You can see on my Blog, I have set a very responsive Custom Template with beautiful Design and Navigation. Remember that if your visitor can't understand Navigation like if there is difficulty in finding posts then Google AdSense will also reject such type of website or blog. You can see I have managed Top and Main Menu Navigation Properly according to the Category of Posts. I have separated Categories like BASIC SEO TIPS, ON-PAGE SEO TIPS, OFF-PAGE SEO TIPS, BLOG, GOOGLE NEWS. You can see in the picture I have set all the Category in a proper place and there is no difficulty for my Visitors in Navigation, they can easily surf on my website and find SEO Tips like On-Page, Off-Page and Blogging Tips easily. Check if your Template is 100% Responsive or not on every Devices. Quality of the website must be High and Professional, to make a Branded and Professional looking Blog you should make a Logo that explains your website. Make a clear looking Logo with colourful letter and symbols and set the white background on your logo. Remove the default Favicon of Blogspot and create your own Favicon and add it on your Blog. You can use Online Free Favicon Generator Tool to create a Favicon. Make an email address that is related to your website domain name, like I have made a Gmail id bipinseo62@gmail.com. And add this address on your contact page, about us page too. Add a working Contact Page, you must be sure that you can get a letter when someone sends a message by Contact Form of your website. You can choose 123form Builder to make a working Contact Page for your Blog. Make a Beautiful and Responsive Sidebar on your Blog, you can add Recent Post Widgets, Popular Post Widgets to display latest and popular post of your Blog. Display only 3 posts on these widgets so that your website will load much faster. Add a Search Bar on a sidebar so that your visitor can get their choice of an article from your website just by putting some search keywords on your Blog search bar. Add Google Translator, on top of the sidebar of your Blog, so that your users of all over the world can read your content on their own native language and this make your Blog more popular on all language. 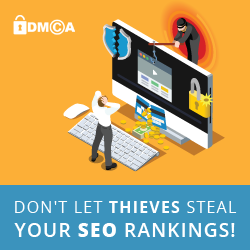 Every Blog-Post needs some Pictures to write a perfect content, but most of Blogger Download pictures directly from Google and on such Pictures "CopyRight" is Subjected and Google AdSense will not accept such a website. You can use Free Pictures without CopyRight Subjected, for this you can use pixabay.com to download the beautiful image without copyright. Write 20 to 24 Posts with 600 to 1700 word content, and you are not allowed to copy content from other website posts, and you can't use Article Spinning Tool because Google automatically detect such content and you can't Approval. Give regularity on Posting Article on your Blog, so that Google will know that your website is currently in use and more active. Submit your website on Google Search Console and Google Analytics. Submit Robots.txt file and Sitemap on Search Console so that Google Crawler can visit and crawl your website pages. You will know any error that may occur while crawling and indexing and fix these errors too. When you submit your website on Google Analytics, you will know about the user, how user surfs your web pages. You can know Real Time data on Traffic Source and Location of your Visitors too. To get Google AdSense approval SEO is most important Key Factor for every Blogger, SEO helps you in getting Organic Search Traffic from Search Engines as well as Popularity of your website will also increase. I waited for some time after setting Custom Domain on my blog and started Optimizing my whole website when I started to get a few Organic Search Traffic, then again I re-applied on AdSense for 13th times then I got Google AdSense approval. You can see Traffic Status of this week on my Blog, I am getting Organic Traffic from Google, Bing, Yandex webmaster. So friends, for getting Google Adsense approval I request you to read Terms and Condition of Google Adsense so that it will be easier on getting approval. Many newbie blogger have only one common question that How to Get Approved Google Adsense and how to make money. I hope all of these answers your given here. Thanks! Hey only putting your website link is not sufficient to build link and to get traffic from my website, you need to have put your link on anchor tag.